This is a photo of a glass of wort: the solution of barley sugar and hops, boiled in a brew-kettle, that will eventually become a beer. Careful. It's hot! And what a splendid-looking wort sample it is. 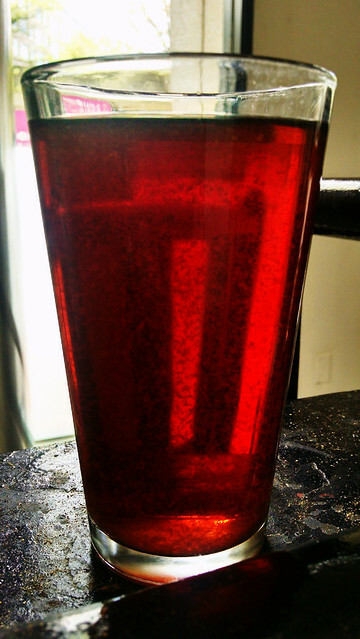 A vivid garnet hue; the clarity of a well-produced wort; and the obvious specks of a 'hot break': proteins, carbohydrates, polyphenols, hop acids, fatty acids, and other solids from barley and hops that coagulate during the boil, and that will be left behind in the kettle when the wort is chilled and sent to a fermentation tank. I didn't take this photo. Kristi Mathews Griner, brewmaster for Capitol City Brewing Company, did ... just after her lead brewer at the Arlington, Virginia, brewpub, Matt Ryan, had finished mashing, and separating the wort, from his recipe (23 April 2015). In two weeks or so, after yeast has done its magic, this wort will have been transmogrified to a Ruby Red Mild, and Capitol City will serve it, in draught and cask-conditioned fashion. The beer is brewed with Irish Stout malt from the Malting Company of Ireland, Munich, flaked barley, crystal, Caramunich, and a touch of chocolate malt. 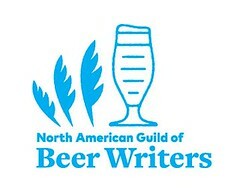 Hops are American, Summit and Cluster, and yeast is American as well. Anticipated ABV is 4.1% with 23 IBUs. Beautiful garnet hue. How the (U.S.) Brewers Association defines a Mild Ale: here. How American Mild Month defines an 'American Mild': here. What is an American session beer? 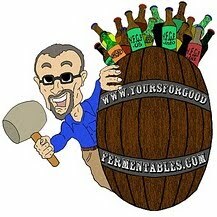 Beer and whiskey writer Lew Bryson defines it: here. Pic(k) of the Week: one in a weekly series of personal photos, usually posted on Saturdays, and often, but not always, with a good fermentable as a subject. Pic(k) of the Week: Pink blossoms, yellow door. Doing the right thing when your beer goes bad.